This poignant documentary examines the difficult choices that so many who find themselves homeless must make each and every day to survive, even as they hide from those who really should be able to help them. Also available in institutional version. This documentary looks beyond the stereotypes to reveal the hidden face of homelessness. For example, did you know that Rhode Island is second only to Nevada in terms of percentage of population that is homeless? Did you know that about 80-90% of the homeless population are working people, and that only 10-20% are chronic homeless fitting the stereotypes we often hold as true? Produced by Cozzi Video Productions. "A very effective impression of a complex issue to help the viewers understand homelessness. Effective, thoughtful representation of this issue in Rhode Island." "Very well done. I was able to make connection with those in the video. This documentary is important because it gives a good understanding of the issue of homelessness." "A very personal, honest and moving documentary, giving an in-depth look into homelessness. It brings awareness to the myths, truths and possible solutions to homelessness." "Very well done, and very enlightening. I learned that the problem is much broader than the small percentage of the population that we see at our mission. Excellent script, footage and progression."" "Very professionally and compassionately done! Thank you! It’s definitely worth seeing!" "I highly recommend this documentary. Homelessness is a significant problem in our nation today. One that is all to often glossed over in the news and soon forgotten when it is reported on. This documentary puts a human face on this tragic situation. You see and feel the hopelessness of those experiencing homelessness and also the joy and thankfulness of those who have overcome. This should be required viewing for all of our public officials." 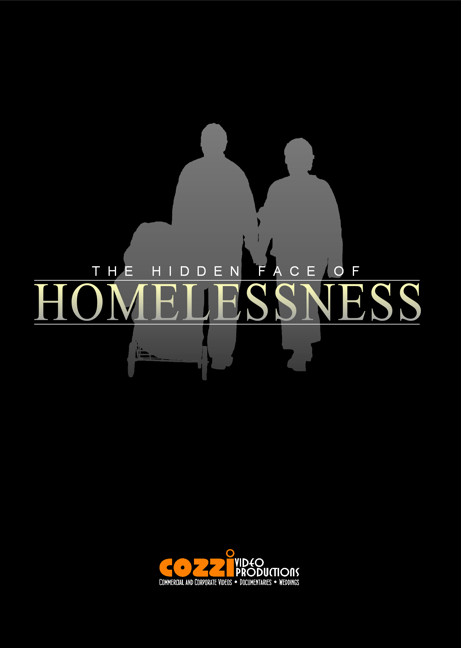 "This documentary gets to the heart of homelessness and without a doubt will move you. There are poignant interviews with previously homeless and currently homeless individuals who share their stories of how easily they went from hard-working citizens with stable incomes, to having no place to sleep at night. Beyond the stories, there are substantial interviews with local experts, people who work for organizations like Amos House and Crossroads, here in Rhode Island. They explain statistics and facts and dispel many myths and stereotypes surrounding homelessness. If you live in Rhode Island, I highly recommend that you watch this film and educate yourself on an epidemic happening RIGHT HERE at home. And if you live elsewhere-- this is most certainly a worthwhile documentary to watch, if for no other reason than to understand the core issues of homelessness and to understand how easy it would be for any of us to slip into the world of homelessness." 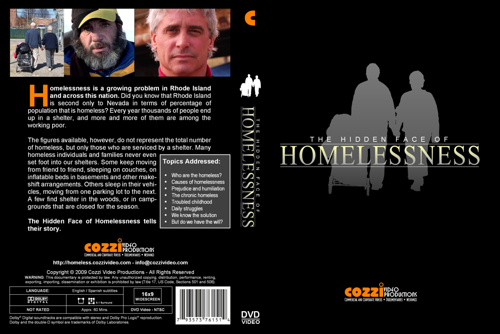 "This DVD shows that many homeless are actually educated individuals that may well be part of your current, everyday community. For all outward appearances, they look like you and I - they don't stand apart - except that at the end of the day, they have no home to return to. The documentary successfully dispels an old myth that the homeless are largely a population that can't help themselves. It features poignant interviews that go to the heart without being sappy: these homeless people are well-educated, once proud individuals who were willing to show this director their vulnerabilities, fears, and hopes. It's a fabulous DVD to watch and discuss with your family. I learned a lot from watching this, and highly recommend it to anyone who is willing to challenge their own prejudices. You won't regret it."